Special promotion from EXcash, Razer Gold and Cherry Credits. 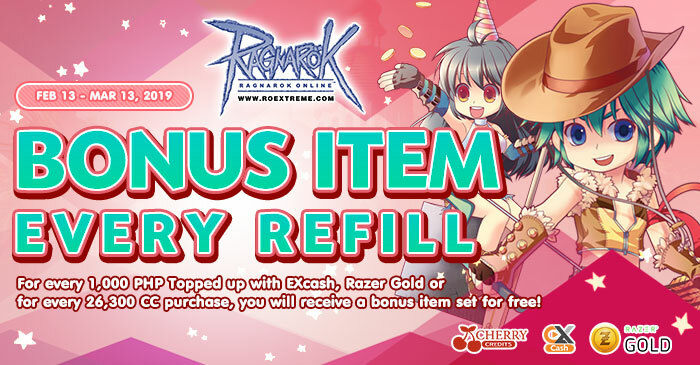 First Top-up with 1,000 EXcash, Razer Gold or with 20,000 CC (via Cherry Credits), receive special items for free! 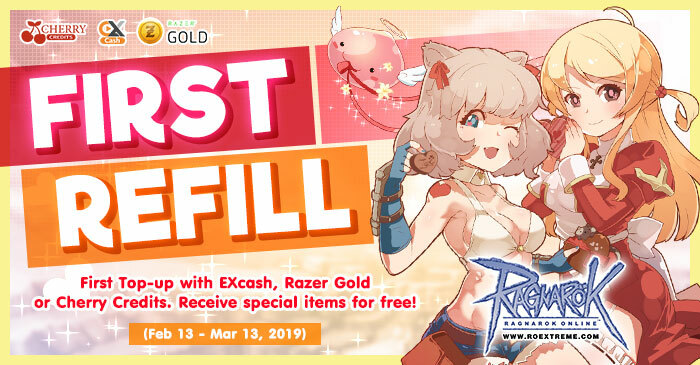 For every 1,000 PHP Topped up with EXcash, Razer Gold or top-up ROK Point with Cherry Credits for every 26,300 CC purchase, you will receive a bonus item set for free! 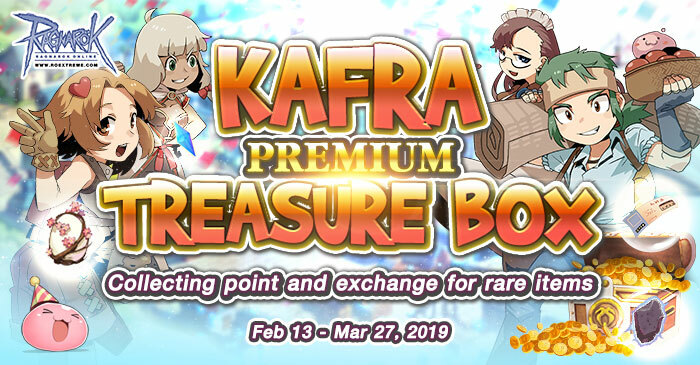 Collecting point and exchange for rare items in Kafra Premium Treasure Box Event.